Talk is cheap. There is no way that car will not cost you at least 15k in repairs. So be prepared and honest with yourself if you truly want to take this on. The owner told me he had it parked in his garage(barn) for 25 years! Also just by looking at the pics how much do you think it would take to restore (ball park) ? The restoration rule of thumb has been $1,000 for every year that it sat. That means it'll cost you an additional $25,000 on top of the purchase price of $4,000 to bring this car back. There is some variability in what "restored" or "brought back" means. Could be a car that's technically running and relatively safe with just the basic cosmetics taken care of. Or it could be some Concours quality beauty that's pretty much perfect. Meeting somewhere in the middle of that will likely run you $30,000 on this car before you're finished. Some of those costs could improve if you do more of the work yourself. Some of those costs could get worse if you find surprises (like damaged stainless under that paint, or parts you didn't foresee needing and they happen to be ones that got disproportionately expensive). If you're trying to make this decision with your wife and family, I'd go the honest (and slightly pessimistic) route and see if she's okay with putting $30,000 of your money into. If you hint to her that you can get it all done for something closer to the $4,000, and she gives the go ahead, it'll likely blow up in your face sooner than later when the costs start to add up. And they will. Nice project, just make sure you're both very aware of what's waiting down the road for you with this car. Thanks for the info and advice. It'll be really fun seeing this one brought back. Please keep us updated! At a $4k purchase price, you will get every penny you spend on it back again. Mention that to the Mrs.
With all due respect, provided that the engine isn't seized and the transmission is good, there is no reason why a person doing their own work couldn't get that car road-worthy for between $2,000 - $3,000. Not perfect, not pretty, not extensively upgraded, but a running, drivable DeLorean. Speaking of a running DeLorean, this car would be a good candidate for a carb conversion. A good chunk of the carb purchase could be recouped by selling off the K-jet parts. I actually made more money selling the K-jet parts from 4194 and 5052 than I spent on the carbed systems, but I was lucky enough to find 2 complete Peugeot 604 systems. I'm not disagreeing with you that you can get it running for 2k. But it will not be roadworthy. Just look what it costs in materials to rebuild the entire brake system, even if you do the work yourself. Maybe close to 1k . And that is just one system. Don't misread my tone. I think it is admirable to try to bring this car back, and I hope he or someone does. But we all know the costs on these cars are endless. 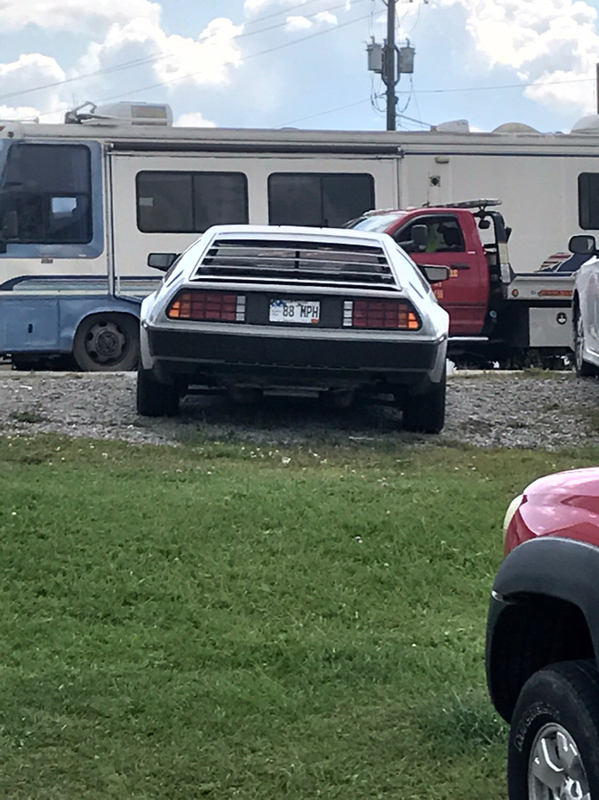 In a way I feel like it's my duty to save this Delorean! I wanted to chime in this thread since I had a similar experience 5+ years ago. 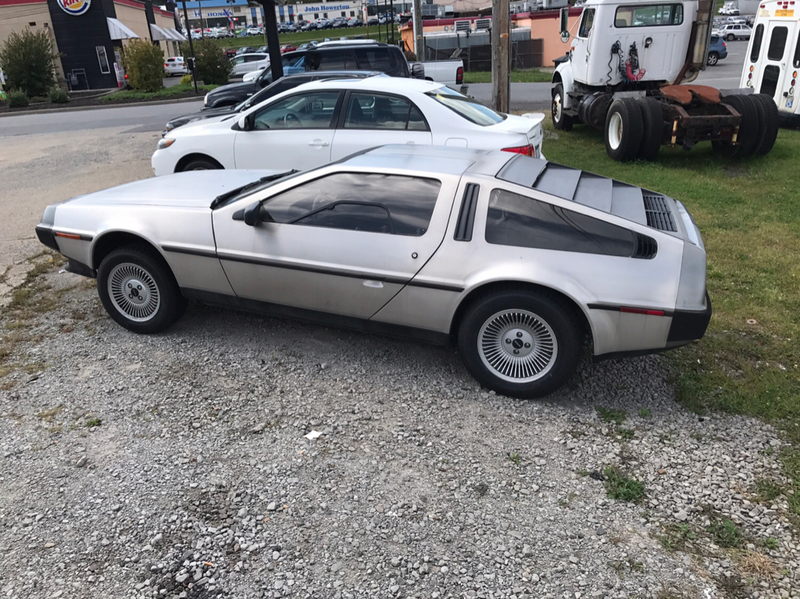 I found a local DeLorean with no drivetrain but a good body and interior, for the most part, for $4k. The seller ended up being worthless but it quickly led me to my eventual car, which was a running and driving car when I bought it from a different seller in Arizona. Regardless of how it turns out. I hope you find the car of your dreams, be it this one or another. This ownership group is without a doubt the best classic car owner community I've ever been a part of. Good luck and keep us all posted.